The FA today (Monday 17 March) launches four short animated films detailing exactly what to do if you come across discrimination while attending or taking part in a football match. 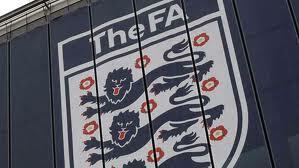 Darren Bailey, The FA’s Director of Football Governance and Regulation said: “The FA has worked collaboratively to instil confidence in its reporting processes. The films, which are all subtitled, can be viewed by visiting www.thefa.com where information booklets explaining each film can be downloaded for free.